You're planning a project to improve your home and want to recruit an architect to help. If you both clearly understand what you want at this early stage, it may prevent problems as the project progresses. 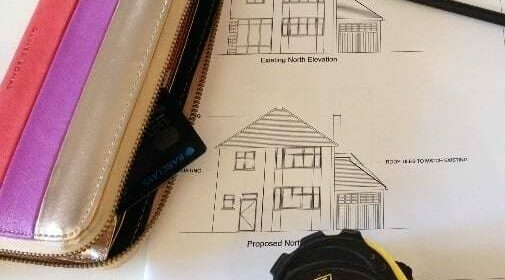 Having decided you need an architect and having found a few architects that you would like to interview, it’s time to get down to the nitty gritty. We have teamed up with the Architects Registration Board to bring you their expertise on getting the best from your architect. The following form, which is free to access and print, allows you to think in advance about the critical areas you need to cover in the all important first interview. Personalise the form and print it now to guide you through your interview. Before you meet with your architect for the first time, it’s worth spending some time writing down what you want to achieve. For example, you might want your architect’s advice, you might only want them to provide drawings, or you might want them to manage every part of the project for you. Have these notes with you so that you can look over them during the meeting. It is important to give your architect as much information as possible so that they have a clear understanding of what it is you want. Your architect will want to talk to you about your building project so they understand what you are looking for. You should follow your architect’s advice, but if they suggest something that you are not comfortable with, don’t be afraid to say so. If you both clearly understand what you want at this early stage, it may prevent problems as the project progresses. It is your project, and your architect will want to make sure that you are satisfied with the end result. The attached form covers these points and other critical areas you will want to think about. 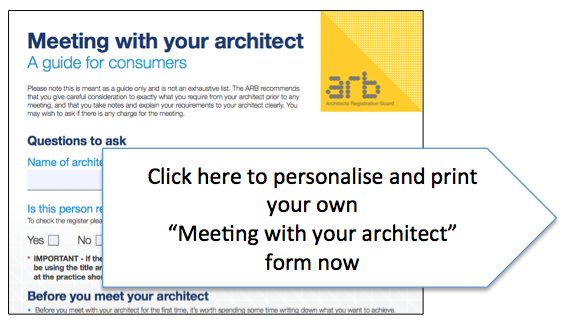 Personalise your form now to ensure your meeting with your architect goes well. Bathroom refurbishment: Where do I start ? How to finance my home improvement project?